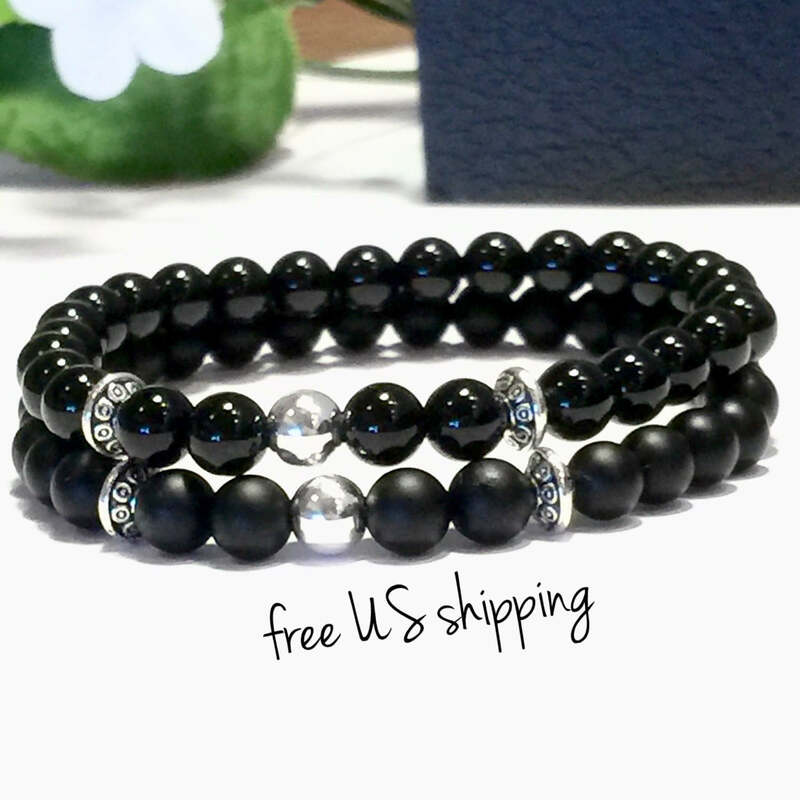 Free Shipping in the US! 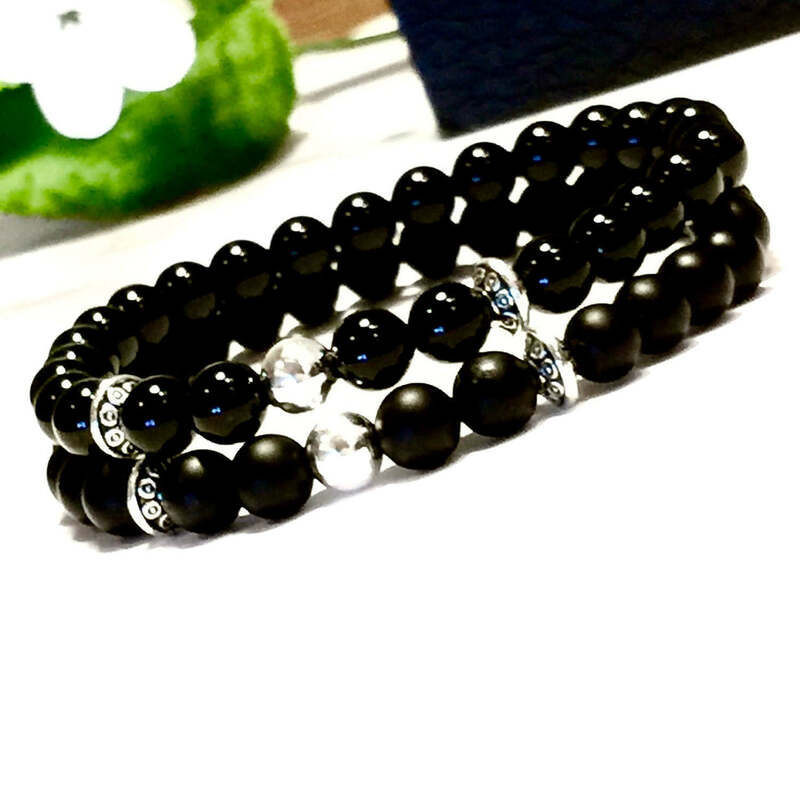 This beautiful beaded bracelet set is made with natural AAA black Onyx beads (6mm) with a Sterling Silver Focal, and Tibetan silver rondelle accent beads. 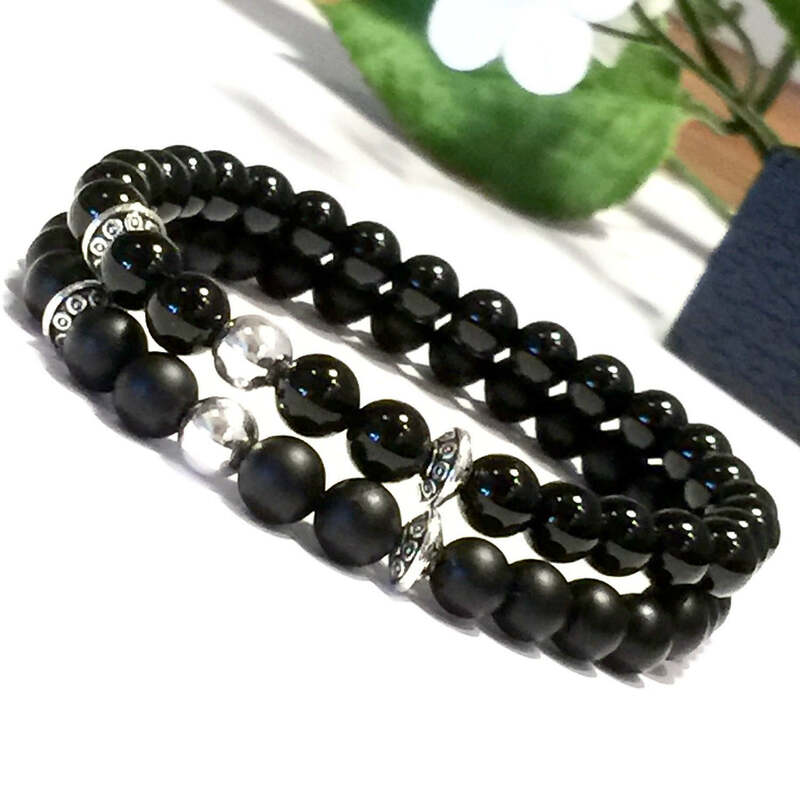 His bracelet is made with matte black onyx and Hers with polished black onyx. All of my bracelets are made with 14 pound test weight 1mm cord that I pre-stretch to ensure that your bracelet will last and never stretch out! 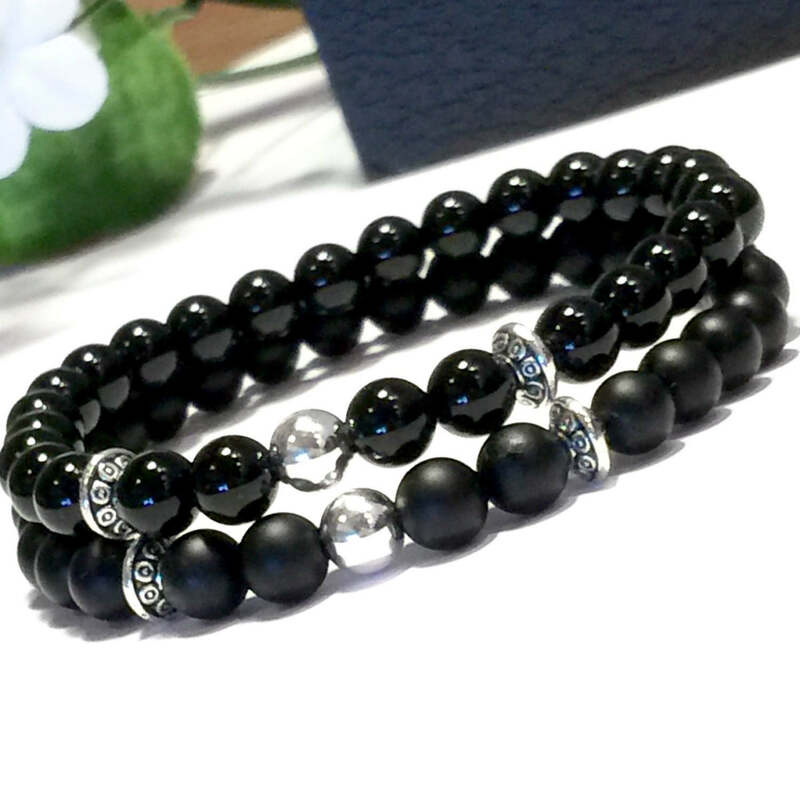 These bracelets will make a great anniversary gift or just because! Also available with 14K Gold Filled Focal and accents.